Red is a Belgian who has been with us since 2008. He is known for his endless amounts of energy! He’s the alpha of the herd and any time we ride multiple Roman teams, you’d better believe he’s in the front! 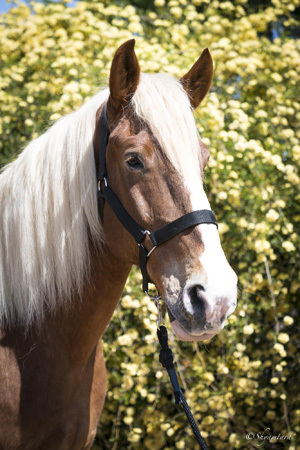 Whiskey came to Gladius in 2014 out of Colorado. He’s a Belgian that has been doing very well in Roman riding and is in current training to be a vaulting horse. His loveable personality and willingness to please are characteristics that make him one of a kind. Travis is an 18.2 hand Belgian with one of the most unique personalities ever! He is a natural clown and fearless to everything. Travis is great for partnering with green or nervous horses and he’s so calm that we can spin fire standing on his back! 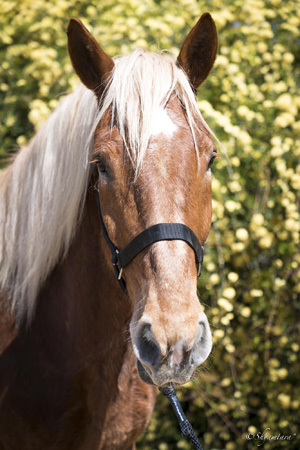 Flash is a blonde Belgian whose specialty is vaulting. He has carried many champion vaulters and is known for his sound mind and amazing consistency. He is also really fun to ride under saddle and can do many exercises not commonly seen from draft horses! Zeus is the tallest Belgian in the herd, standing at 19 hands. He started his work with the Gladius crew in 2008 and has one of the sweetest personalities of the bunch. Zeus has excelled in Roman riding, and also in vaulting, making up half of the vaulting act “Olympus” in the show. Thunder rolled into the cast in 2017. After just a few months of training Roman riding, which is similar to working in a hitch, he debuted as a performance horse in front of a crowd of 5,000 people! Thunder shows a lot of promise in riding as well and has acclimated to the herd very well. 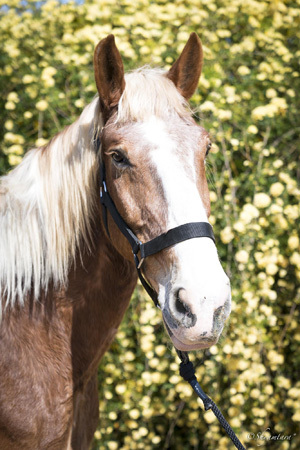 Gaia is a stunning Azteca mare with a Charro background. 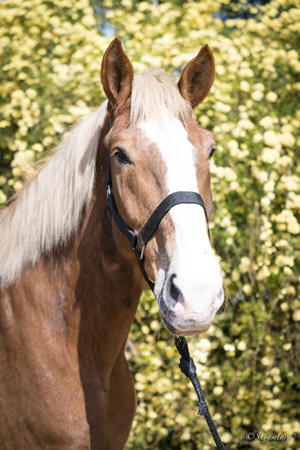 She came to us in 2018 and has great promise for both trick riding and dressage as well as liberty. 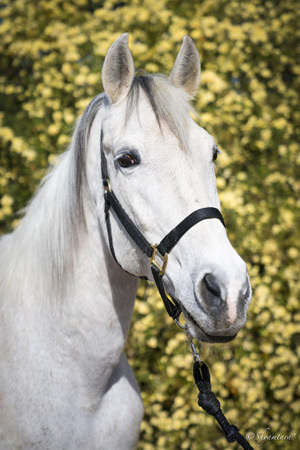 She has a very sweet personality and is adjusting very well to her new life with Gladius. 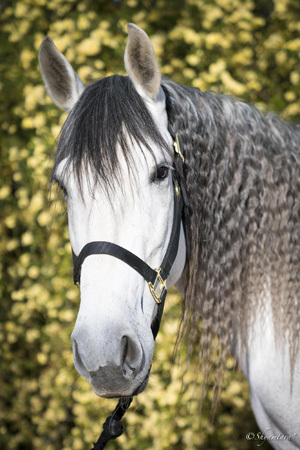 With her gorgeous mane and physique, she is sure to be one of our most photographed beauties! Canon came in at the same time as Thunder and shows so much promise as a vaulting horse! His presence is grand and his personality sweet. He is eager to please and very much a ‘Lap Dog’! Kayman is the only Percheron in the draft horse herd. He was trained by Yossi and Noel Martonovich and is primarily used under saddle and in Roman Riding. 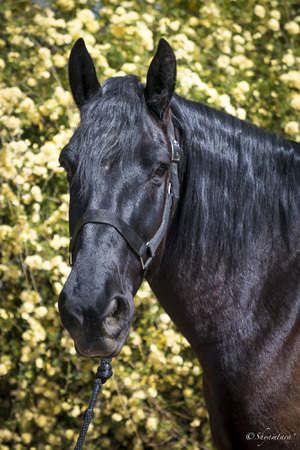 Kayman is a crowd favorite, with his dark color and beautiful gaits. 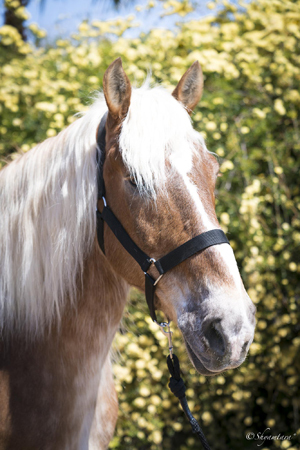 Aries joined the herd in 2014 with high hopes of being a flashy liberty horse. He’s a Azteca stallion with a large affinity for food and treats. He has come a long way in a few years and he’s growing rapidly in to a shining star. 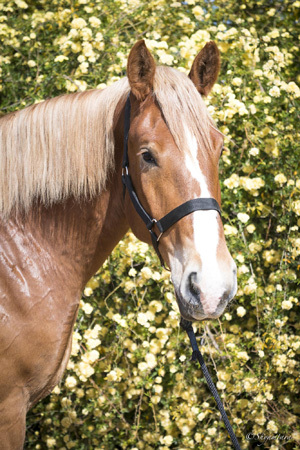 Puzzle is an Azteca mare and is primarily ridden in dressage. She was trained by Yossi Martonovich and also excels at liberty and trick work. She’s the Queen Bee of the bunch and an absolute diva. 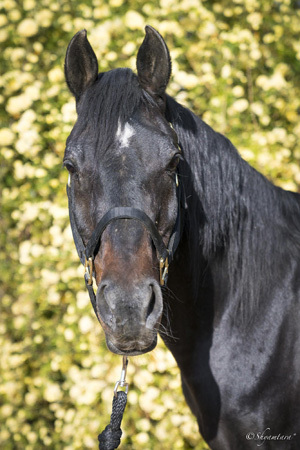 Rabdahn is a black Arabian stallion that came from Alethea’s family in southwest Virginia in 2015. You’d never known he’s a stallion by jut being around him. 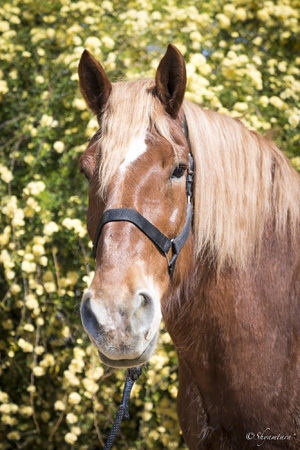 His laid-back personality and friendship with the geldings make him one of a kind. 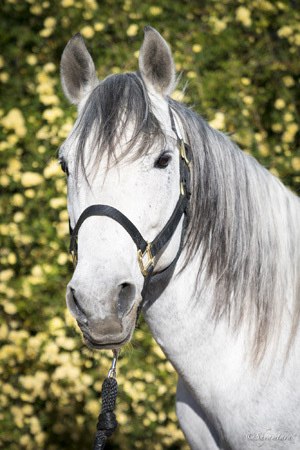 Rabdahn is exceling in dressage rapidly and we are excited to see how far he goes! 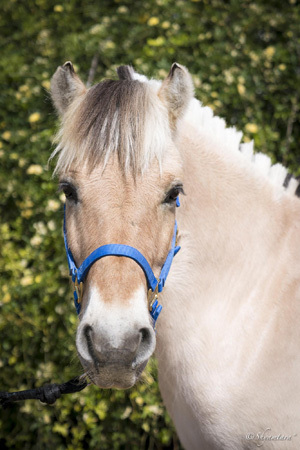 Frøya is one of two Norwegian Fjord rescue horses that joined the herd in 2015. She’s sassy and sweet and so appreciative of being recued and having a purpose and love. She is a superstar racing chariots and has also learned to jump and Roman ride! 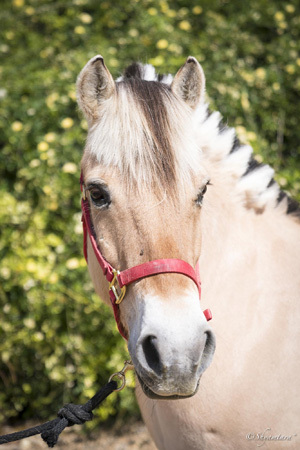 Balder is the second half of the Fjord rescue team. Like his sister, he can race chariots and also jump. He’s learning to Roman ride and will love you forever if you bring him carrots. There’s nothing these little Fjords can’t do. 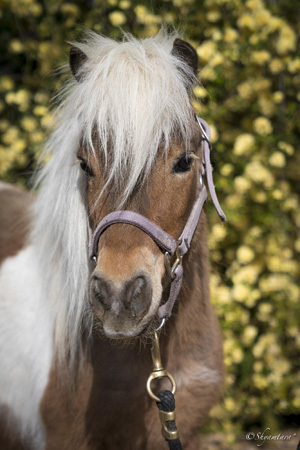 Spirit is the sweetest little miniature horse that ever was! 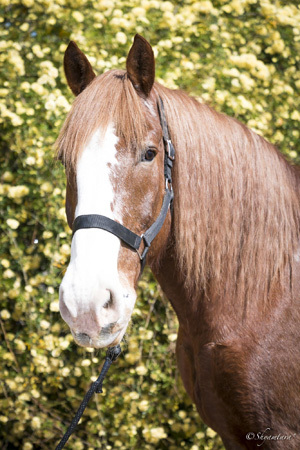 He was rescued in 2014 and has since been spending his days learning liberty with Alethea. His little face has been melting hearts ever since. 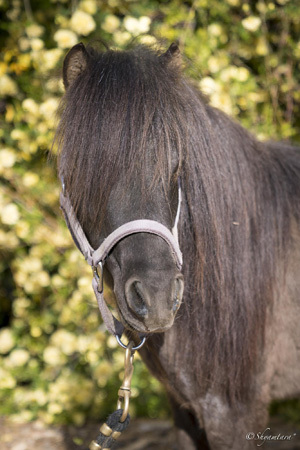 Chente is the tiniest horse of the herd and is a black miniature stallion. His energy is like no other and it’s pretty normal to see him running around , riling up the others. He’s the newest addition to Darren’s clown act and we have no doubt he’s a aborn star.